In the October 2013 issue of LEDs Magazine, Maury Wright authored a piece titled “LED modules advance in performance, standardization questions persist”, in which Maury reviews the reasoning behind and the current status of various LED modules, including the impact of the Zhaga initiative. Philips is arguably the strongest proponent of Zhaga with by far the most modules in Zhaga’s certified product list. Back at Strategies in Light, director of experience design Brad Koerner said Zhaga will ultimately allow lighting modules to be treated just like another material in building architecture with lighting systems manufactured on a building site (ledsmagazine.com/features/10/3/7). Modular LED light engines can without question accelerate SSL product development, especially with the better color consistency offered today, reports Maury Wright, but the market remains fractured with a mix of proprietary and Zhaga-compatible products. Many of the largest names in the LED industry now offer modular light engines, alongside specialty vendors that have nurtured the segment. In many cases, simplicity of system design drives solid-state lighting (SSL) manufacturers to utilize modules. But the module makers believe that the technology can also deliver superior performance, especially in areas such as color consistency. The unanswered question in the segment is whether the Zhaga Consortium standards will enable the vision of standardized interchangeable light engines that deliver benefits from the supply chain to field service/upgrade of luminaires. SSL manufacturers face a shortlist of questions when considering whether to use a modular light engine in a product or to design their own light engine. If the module route is chosen, the development team must then decide whether to buy a module with an integrated driver, choose a separate off-the-shelf modular driver, or design their own. The other decision points include criteria such as modules that use phosphor-converted white LEDs or modules with blue-pump LEDs and remote-phosphor optics. And the last decision point is whether standardization and Zhaga are beneficial to the project. This article will discuss all of those questions. First, let’s address what qualifies as a module or modular light engine. The list includes products ranging from a circuit board with LEDs installed to more finished modules in an enclosure of some type. Modules are available for products ranging from streetlights to ceiling troffers to track heads and more. Modules can require tools and fasteners to attach into a fixture or in cases can be snapped or twisted into place. A dress lit by standard LEDs (left) and a Xicato Vibrant module (right). Modules may or may not have integrated optics or driver electronics. Zhaga, for instance, refers to light engines with separate or integrated control gear when identifying whether or not a driver is included in a module. For more background on Zhaga, seeledsmagazine.com/features/9/7/15 andledsmagazine.com/features/10/2/3. Traditionally, modules have been thought of as a way to develop products faster in the electronics industry, whether the application at hand was a computer or an LED-based luminaire. In the SSL segment, larger Tier 1 companies have tended to design their own light engines for each product, whereas smaller companies were more likely to choose a module to hasten the development process. The projected demand and cost of a product also comes into play. Paul Scheidt, product marketing manager at Cree, describes how that company offers customers three levels of engagement at the luminaire design level. When a company isn’t sure a project can justify a custom design, Scheidt said that a module is a good option that reduces engineering cost upfront but might result in a slightly higher bill of materials (BOM) in the production phase. Chip-on-board (COB) LEDs are easier to design into a custom light engine than individual emitters, according to Scheidt, and fall into a middle ground in terms of functionality and cost. Scheidt said that individual emitters properly applied generally perform the best, and in high-volume luminaire production they have the lowest BOM but the highest upfront engineering costs. Ironically, some people have the mistaken idea that COB LEDs produce more uniform light than individual emitters. While it’s true that COB LEDs are easier to work with, you can better control the light with smaller sources when a product is designed properly. GE third-generation Infusion module family. GE Lighting reports that customers of its Infusion modules follow the traditional thinking thus far. John Koster, product manager for LED modules, said that Tier 1 customers generally find a module too expensive, although he admits that GE focuses on high-performing products more than low cost with Infusion. Koster said that GE has around 20 OEM customers for Infusion that he described as Tier 2 players in lighting. Dave Lidrbauch, product marketing manager at Osram Sylvania, sees the justification changing for choosing the modular route. A key challenge for SSL manufacturers is the pace of change in LED components. Lighting manufacturers want to use the latest LEDs and deliver top efficacy. But the manufacturers also need to offer a product today, and a product two years from now that may use different LEDs, with both looking identical in terms of light output, color temperature, and CRI. Lidrbauch said that you can buy a module from Osram, and Osram will ensure the consistency in its next-generation module. As for customers, Lidrbauch said Osram is shipping a module in high volume to a Tier 1 customer. Moreover, he said that Osram often works with a close luminaire partner in developing a new module, thereby assuming much of the risk in the design. He recounted one project where Osram had to change the LED being used in a module deep in the development cycle with the customer/partner counting on the module. But Lidrbauch said the process was transparent with the customer involved in the decision. And testing had revealed that the chosen LED would not deliver on the customer’s performance requirements. Philips Gen2 FastFlex modules for outdoor and high-bay applications. Therein lies another issue with light-engine design. The LED industry has made great progress with LED manufacturers performing LM-80 testing and providing TM-21 projections on lumen maintenance. But quite often, a development team will need to start a design before there are the 6000 hours of component testing in place required for an LM-80 report. Lidrbauch said, “Designs are almost always started before LM-80 is complete.” Still, the latest LED technology promises the best efficacy, lifetime, and color and lumen maintenance. 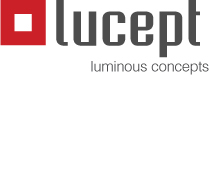 Lidrbauch’s message is leave the light engine design to experts who do that job every day. Xicato also has a strong opinion on modules as the company is specifically focused in that area. Thor Scordelis, manager of global product marketing, said, “Our focus started with a building with people inside it, and those people looking at surfaces and one another.” The point is that lighting needed to render those images perfectly. From the start Xicato focused on “initial and maintained color consistency.” According to Scordelis, the chase for quality impacted every facet of Xicato’s designs, even the depth of the modules. Scordelis and Xicato are not Zhaga proponents, and we will get to that discussion shortly. But he pointed out that the mechanical dimensions of the various Zhaga modules defined in Books (specifications or standards) would not allow for a design such as is offered by Xicato. Of course, the choice of remote-phosphor technology drives the need for a deeper module in Xicato’s case because you need a mixing chamber behind the optics. But Scordelis said that the Xicato products deliver top quality in the industry focused specifically on accent lighting. Remote phosphor with the phosphor-coated optic placed away from the heat of the LED junction is a key part of the design story because heat changes phosphor characteristics over time. Moreover, Scordelis said that the aluminum housing Xicato uses in its modules helps keep the phosphor cool and that the efficacy advantage of remote phosphor enables use of lower–power light engines and eliminates the need for heat sinks. Cree LMH2 module with dome and flat optics. Cree, conversely, has supported remote-phosphor designs and has substantial IP in the area (ledsmagazine.com/news/8/12/24), yet has maintained that white LEDs are the superior choice in most applications, especially in BOM cost. The company contributed an article on the topic last year (ledsmagazine.com/features/9/7/6). Cree’s Scheidt said that part of the cost issue is that remote-phosphor designs need royal-blue LEDs from a single bin to maintain color consistency. Scordelis, however, said that Xicato uses LEDs across bins but would not say exactly how the company keeps the module output consistent. Xicato also enables lighting manufacturers to build a single luminaire, stock a range of modules, and deliver products across a variety of performance scenarios. The company offers its modules across a range of CCTs — that’s very common — and in a baseline 80 CRI. But Xicato also offers the products in 95-CRI versions called the Artist series for applications such as retail. Recently, Xicato announced the Vibrant series (ledsmagazine.com/news/10/7/14) that uses the Gamut Area Index (GAI) metric for color quality developed by the Lighting Research Center (ledsmagazine.com/news/7/6/8). CRI actually penalizes a light source that performs better than the incandescent lamp in terms of making saturated colors pop. But in some applications, including museums or retail, that’s exactly the desired effect. The Vibrant series only has a CRI of 80 but a GAI of 111. A lighting manufacturer can match luminaires to a wide range of applications with the three classes of Xicato modules. Osram PrevaLED Line family of SSL modules. Enabling a range of luminaires with a module family is also an attribute of the new Gen2 FastFlex modules from Philips Lighting (ledsmagazine.com/news/10/9/19). The linear products measure 216×49.5 mm with 16 LEDs mounted in a 2×8 pattern, and target outdoor and high-bay lighting. To support a range of luminaire designs, Philip offers the typical choice of CCT and CRI but also supplies different optics that can be mated to the light engine. Those optics can come in versions that support a number of different beam distributions ranging from popular streetlight patterns to floodlighting. Moving to a discussion of integrated or separate driver electronics, we get to a point that really applies across every question we are discussing here. Often the application dictates your choice. For instance, Cree offers the LMR2 downlight modules with an integrated driver and the LMH2 module with separate driver. While both of the Cree modules target downlights, the LMR2 targets retrofit of existing cans, and, as Scheidt points out, there is no place to mount a separate driver in such an application. Moreover, in a retrofit scenario, dimming requirements will generally be compatibility with triac and electronic phase-cut dimmers so that functionality is simply included in the integrated driver. The LMH2 targets commercial applications and new construction. And a separate driver allows for the option of specifying a driver with the capabilities required for a specific project — such as DALI (Digital Addressable Lighting Interface) or Lutron EcoSystem controls. GE’s Koster said that the first-generation Infusion modules integrated drivers. But the company soon realized that it would need to segregate drivers to get to higher-lumen packages in the relatively compact modules that meet Zhaga Book 5. Now GE offers some of its own drivers and also has an approved third-party driver list for use with Infusion. Speaking of Zhaga, that industry organization looms as either one of the key developments that can push the SSL industry forward and broaden deployment or as a fractured set of standards pushed by individual companies that will become an afterthought. As always, the end result is probably somewhere in the middle. As discussed in our earlier Zhaga-oriented articles (links presented previously), standardized modules can provide some advantages. Luminaire makers may have multiple light-engine vendors from which they can choose products, thereby simplifying the supply chain and eliminating engineering costs. Zhaga could allow for simple upgrades to a product line and perhaps simple replacement of modules in the field much like we change lightbulbs today. But there is already a relatively long list of different Zhaga standards, and it will get longer. Xicato’s Scordelis finds little to like about Zhaga. He said, “It’s a closed manufacturers’ standard,” referring to the fact that each of the Books was driven by a company that had a vested interest in the specifics of that form factor. But in fairness, Zhaga is publicly publishing the specifications one by one so that even non-members can use the Books (ledsmagazine.com/news/10/2/20). Still, Scordelis said that “LEDs will be a fundamentally different technology soon,” referring to the early stage we are in with SSL. And he said the concept of replacing a light engine in the field is misguided because you will always need to replace a matched light engine and driver together to maintain quality. Cree is playing both sides of Zhaga. The company participates and is making moves such as supplying COB LEDs with a light-emitting surface (LES) size that matches Zhaga Book requirements so its customers can deliver Zhaga-compliant modules. But Cree has no plans to sell such modules. Scheidt said that supporting mechanical and electrical compatibility and interchange is just not a core competence, and Cree will focus on more simply designed modules that it can use to help bring lighting companies that are struggling with LEDs into the SSL market. Osram is a major player in Zhaga as well. And with that company we are seeing some of the projected benefits of standardization. The Osram PrevaLed Cube modules are essentially versions of a module initially defined by Philips. But while Osram’s Lidrbauch applauds the form factor definitions formalized by Zhaga, he insists it’s the secret sauce in module design that maintains lumen and color consistency over generations, which will make modules a bigger factor in the SSL industry. GE, meanwhile, has been one of the longest tenured Zhaga members. GE’s Koster said that the company is the strongest proponent of socketable light engines within Zhaga and led the development of Book 5 for socketable light engines. Koster believes the technology will ultimately allow users to change out light engines just as they do lightbulbs and upgrade their lighting to the latest LED technology. Alas, Book 5 has been the toughest to get started in terms of a fully Zhaga-certified class of products. The more complex twist-and-lock mechanism that makes electrical and mechanical connections has been tougher for certification labs to deal with. But Koster expects GE’s Gen2 and Gen3 Infusion modules to be certified soon. Maury Wright is Editor of LEDs Magazine and Illumination in Focus.